I am currently sitting in the airport (barring any issues) and am about to board my flight to Dallas – London – Madrid. From there, it’s a bus ride to Valladolid where I’ll be living/studying for the next month. I am beyond excited…this is my first time visiting Spain as well as Europe in particular. I have a few trips within the country planned. I wish I had more money to see more of Europe but that’s a trip for another time. I have a few posts scheduled to post automatically as well so this page won’t be too quiet while I’m out eating tapas and wine. 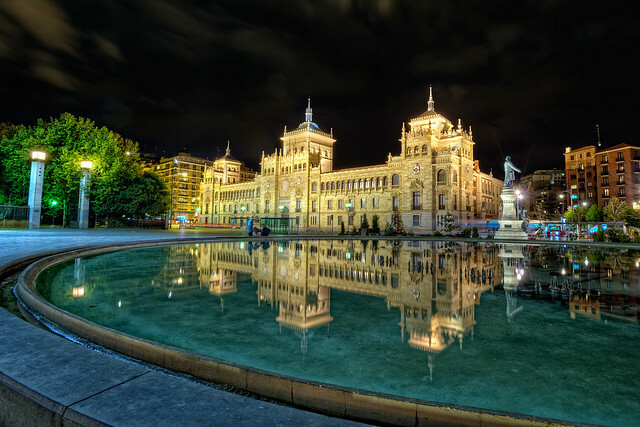 This entry was posted in Uncategorized and tagged Europe, Spain, Valladolid. Bookmark the permalink.